Indochina Hotel is situated in the heart of Aranyaprathet, Sa Kaeo Province. Just three hours drive from Bangkok and only ten minutes away from the biggest border market in Thailand, Rong-Kluea Market, our hotel offers thoughtful accommodation with 115 airconditioned rooms in an idyllic setting by our beautiful swimming pool. 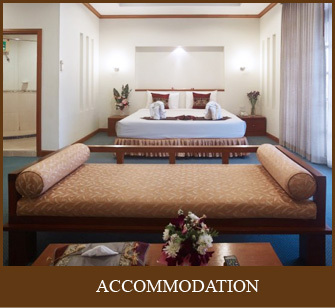 Enjoy your stay with our three types of spacious rooms. All rooms are equipped with the latest standards such as wifi internet access, 40” TV, relaxing area with sofa, etc. 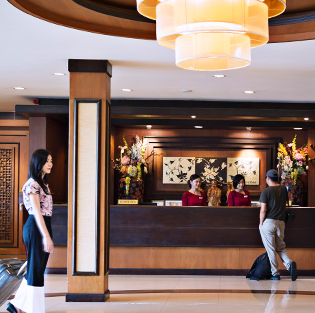 Whether you’re on a trip with family, business meeting or an adventure with friends, our comfortable and affordable hotel has everything you need for your stay. Our three conference rooms and a spacious outdoor area by the pool, we can house groups up to 500 people. 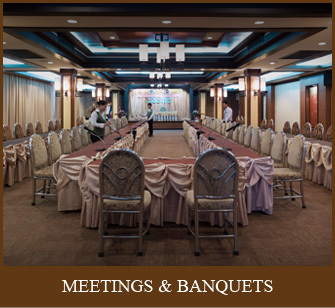 Our management and staff are always available to assist you in organizing whatever event you would like to host. We are able to customize your events according to your needs. 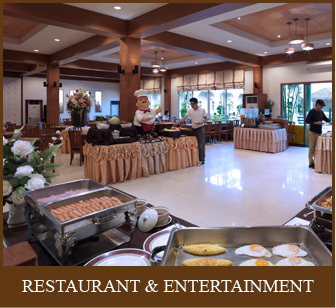 Our restaurant, Rachawadee serves delicious local and international food and beverages in a laid back atmosphere with daily live music. Enjoy the peaceful nature in our open-air area by the swimming pool or party and sing your favorite songs in our karaoke rooms.